The animated four-bar linkage FHJD is constructed using dimensions as the quadrilateral ABCD. 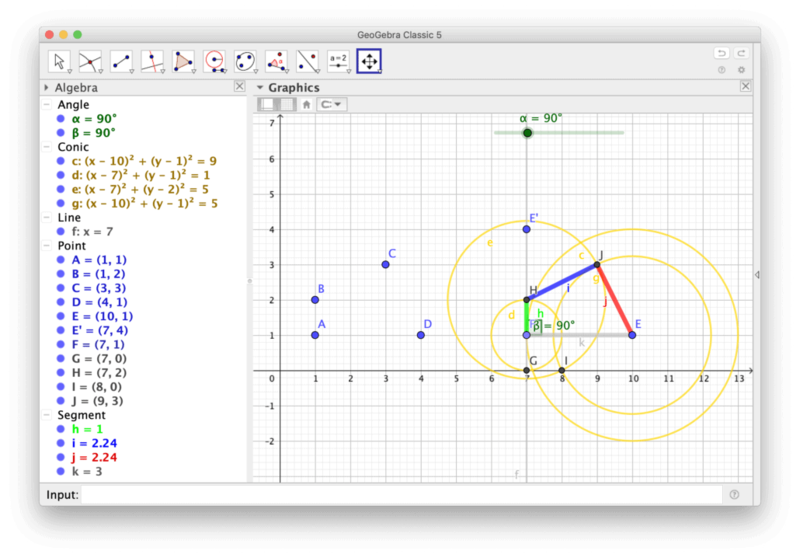 The dynamic geometry software Geogebra maintains the dimensions of FHJD as the points of ABCD are moved. The result is that the animated linkage changes to match the new dimensions. This can be seen in following Movie. For more information see Kinematic Synthesis of Mechanisms.